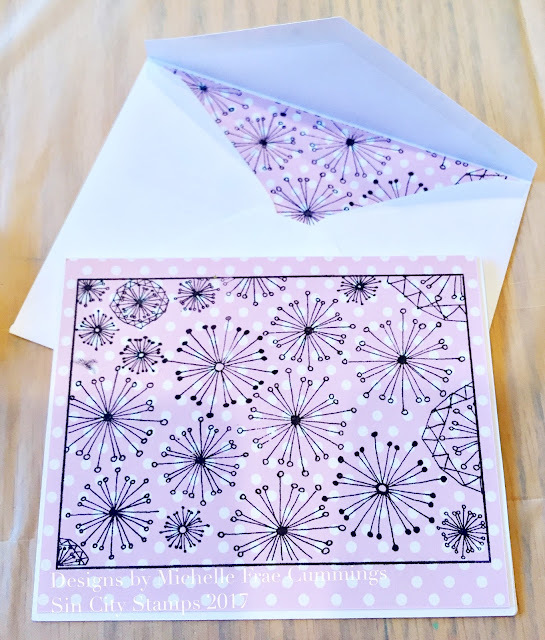 Michelle here with a fun way to add a personalized touch to cards and envelopes using one of my stamp designs! 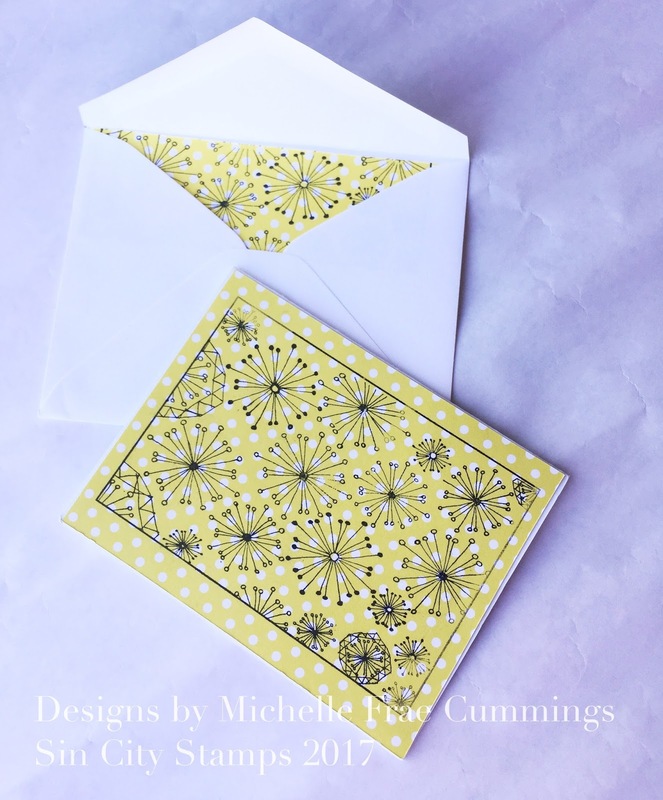 Patterned paper with a simple design. 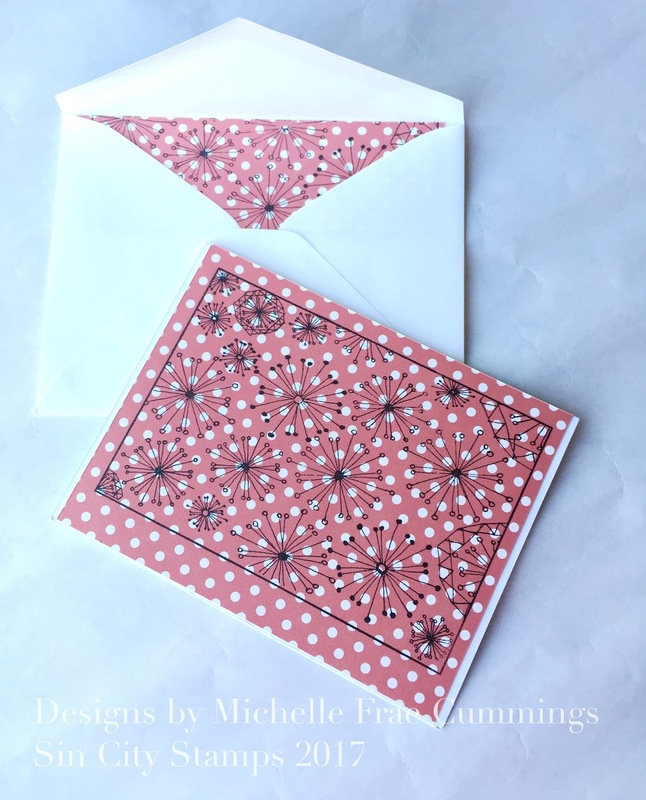 Card blanks and matching envelopes. 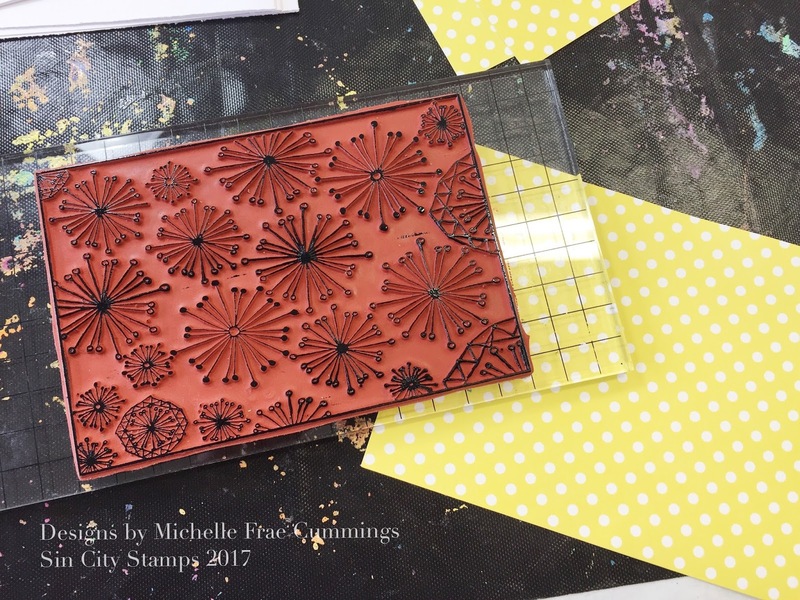 A large stamping block to fit the 3 ½" x 5" stamp. Trim your paper to fit the front of your card blank. Then stamp the Dandelion Burst Background onto your paper. 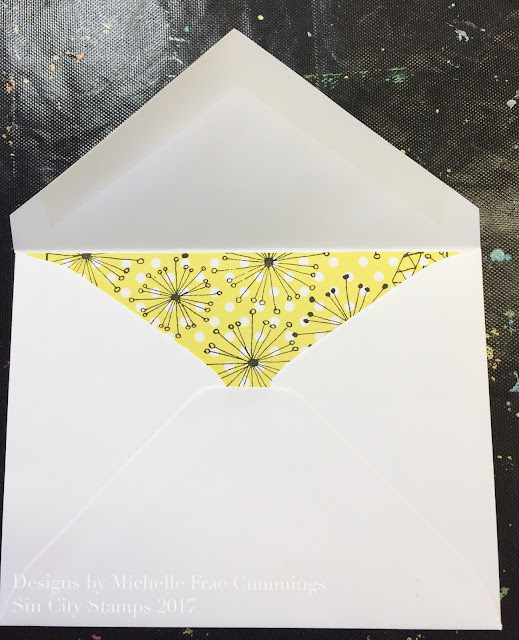 For the inside of the envelope, just trim a stamped piece in half and adhere to the inside. Feel free to join our Sin City Stamps fan page for more idea's!